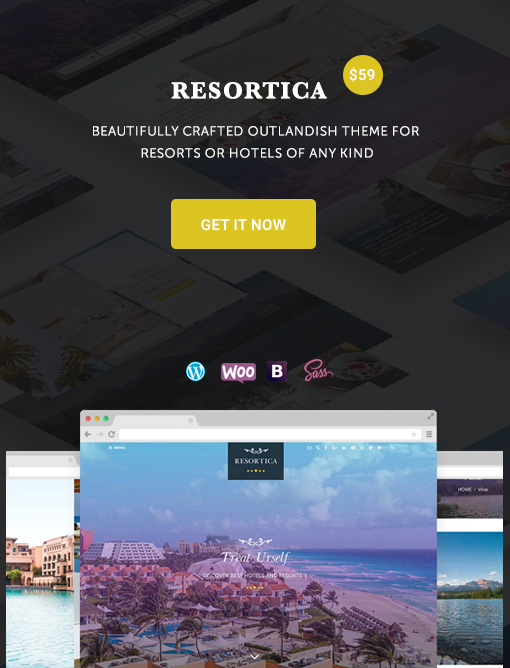 Looking for the best free WordPress themes for business, corporate, agencies and so on? If yes, then you have come to the right place. This time, we have handpicked the free business WordPress themes for small or large scale business. If you are planning to initiate a business website, the foremost important thing that you have to care is the online presence of your website in the Google Search Ranking. Because most of the people search to get a genuine review about the services, or any products before making any further decision. For that, you need to take care of each and every element and functionality of your business website, so that you could easily provide what they are searching for and also select your service whenever there is a need. It is not as hard as you have thought. All you need is to select the perfect free business WordPress theme from thousands of out there and create a website based on that WP theme. Don’t worry, we have handled that selecting parts for you. Below is the list of the best free WordPress themes for business, corporate, creative agency and so on, that contains the premium like features, which will surely help you to craft a feature rich, powerful and professional business website within a short span time. If you want to have some advanced features in your business website and don’t worry about spending dollars then you might want to check out our collection of best premium business and corporate WordPress themes, suitable for all types of business agencies. But when you are getting free business WordPress themes that perfectly fits your needs then why to spend dollars. How to select the best free WordPress themes for business, corporate, agencies, startups, freelancer and so on? Having a website is not enough, it must contain the features that would be able to voice out your services to the customers. Because the main goal of creating a website is to explain your service or business, reach the targeted audience and increase the sales or revenue of the website. Based on these factors, I have researched and come up with the best free WordPress themes for business, corporate, agencies, freelancer and so on. The design should be clean, but must have used the vibrant color, graphics and sharp font styles, that grabs the attention of the visitors. The free business WordPress theme must have a beautiful section and layouts that simply enable you to introduce your company, and service to your online audience instantly. 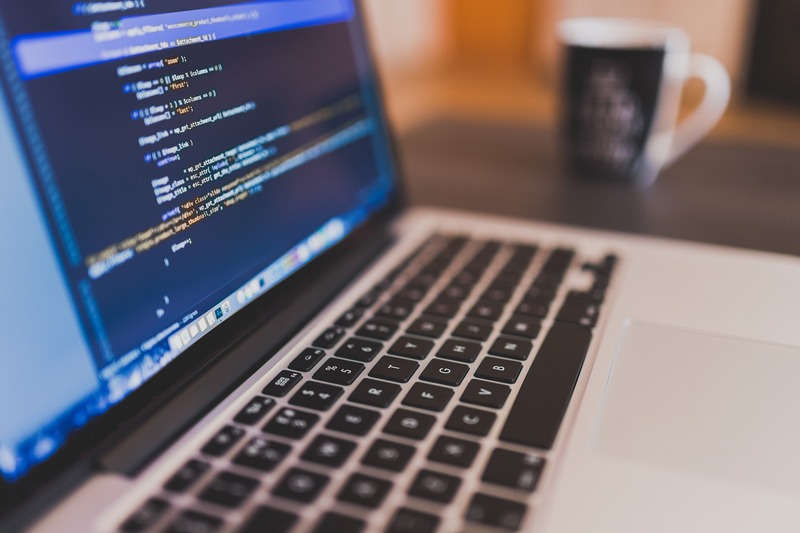 Must offer simple to use, customizable theme options, so that any newbie to WordPress can easily create a site without having to write a single line of code. The theme must be responsive and should adapt to any viewing environment without any flaws. Being extremely interactive in terms of responsiveness is what makes a website great in the year 2019. Not to miss, the Slider option to highlight the important pages and post on your business website. Similarly, there must be header or footer section including the contact us and social media options, so that your customer could easily get you. Last but not least, the WordPress theme must be SEO optimized and has a faster loading capacity. Best free WordPress themes for business, corporate, agencies and so on. Being based on the above-listed factors, we have listed the best free business WordPress themes that can be used as a module to create a small or larger business website. These free WordPress themes are highly customizable and come with all the crucial features that meet the needs to initiate a business website. Let’s check them out. CT Corporate is one of the best free WordPress themes for business, portfolio, blogging or any type of corporate site. The theme offers banner sliders to showcase the information of a certain post. It comes with the powerful admin panel along with highly customizable theme options, which lets you manage or create a business website, without having to write a single line of code. 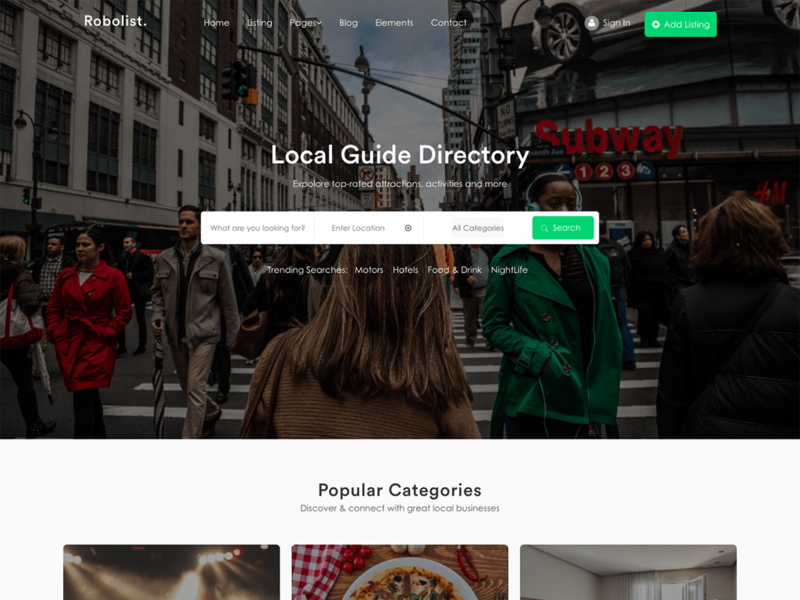 Similarly, this free business WordPress theme has social media options that let you get connected with targeted customers via social media channels. Even though CT Corporate is a free WordPress theme it comes with the premium like features. Such as Testimonial Section, Custom Menu, CTA, home page design layouts, 3-page templates, 4 widgets Blog Layout, Logo color settings, footer settings and many more. 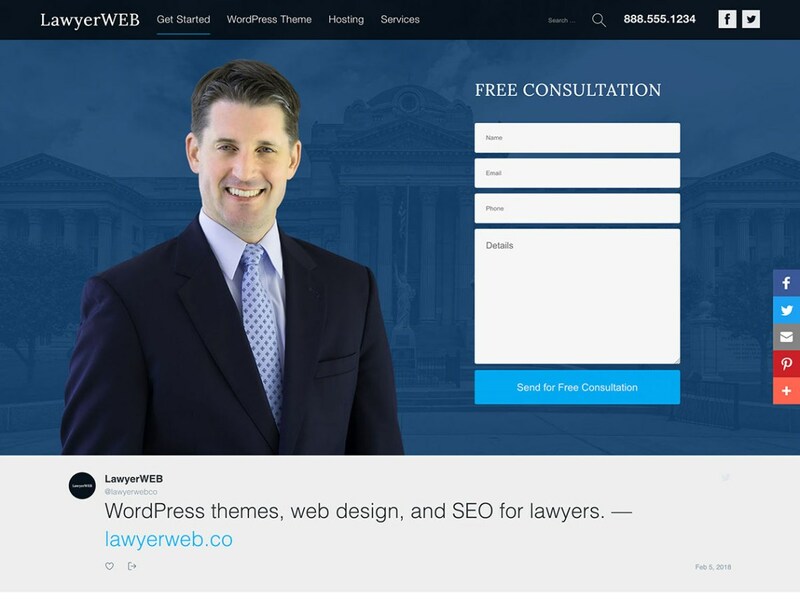 Another most popular free WordPress themes for business, and corporate. 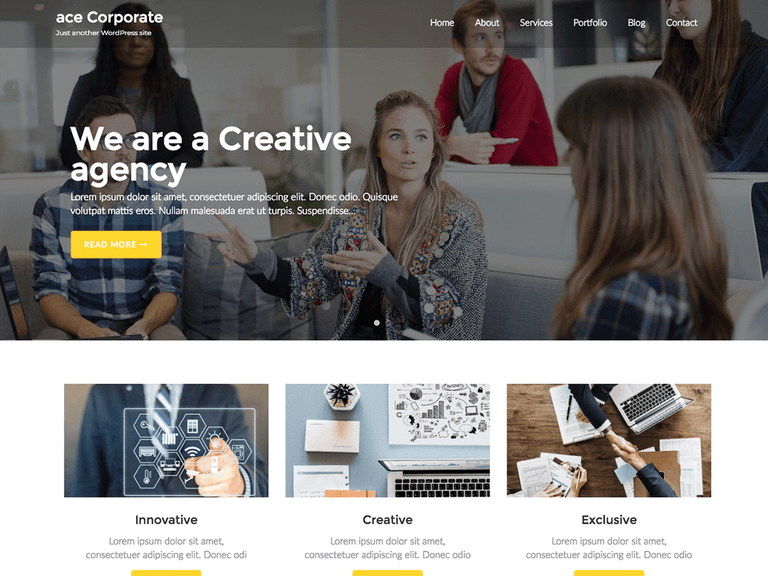 Ace Corporate also functions as a multipurpose theme that works perfectly for launching other types of websites like portfolio, blogging, creative, agency, and so on. Built in with the Bootstrap CSS Framework, this free WordPress theme is ultra responsive and retina friendly, which means it adapts any viewing environment. Ace Corporate comprises features like Testimonial section, page layout, blog layout, banner slider option, and so on. Business Multi Lite is a free responsive multipurpose WordPress theme for business and corporate agencies. Besides that, it is also perfect for marketing, finance, IT consultant, online business, cloth business or any type of business firms. The theme is highly responsive and is highly adaptable to any viewing environment. Likewise, it consists of footer widgets section, header email, banner with content, header social, and much more. Multiple Business is a free responsive WordPress theme for business, corporate and other creative agency. The theme is fully compatible with the Gutenberg and classic editor, providing you the utmost flexibility to customize the theme or website on your own. Similarly, it includes plenty of other customization options. Use multiple header layouts, multiple footer layouts, sidebar layout options, post layout options, single page layout options, custom page templates, unlimited color options where ever you like. Multiple Business also incorporates with WooCommerce plugin allowing you to initiate an eCommerce business website as well. The WordPress theme comes with a translation ready facility. 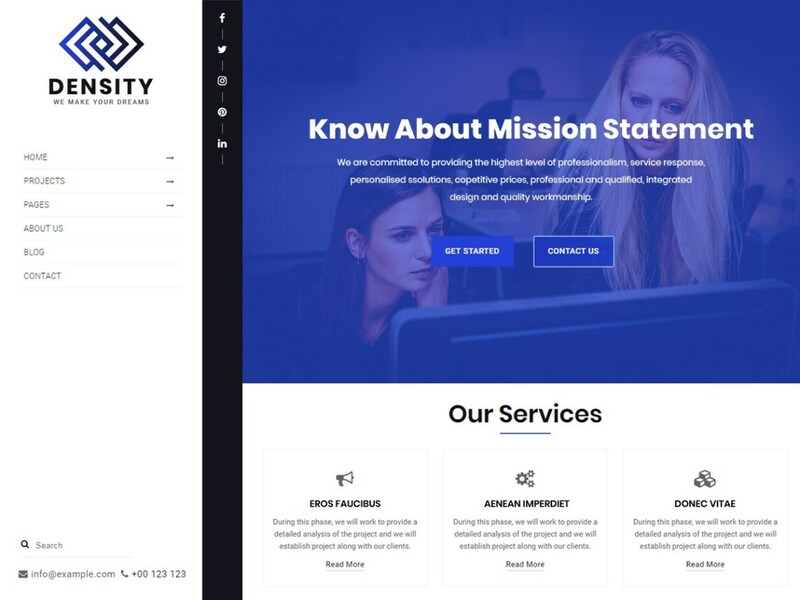 Density is modern, trendy and free WordPress themes for startup business, company, digital agency, corporate, consultancy. One of the best parts of this theme is, it comes with the vertical menu, which gives your company a perfect modern look. The theme is fully responsive and compatible with the most prominent WooCommerce plugin. Similarly, it comes with the translation ready facility allowing the different users to set the website in their respective language. Besides, Density comes with the ample of customizable features like Layouts / Header elements, Call To Action Socials, Home Page Elements, Sliders, Widgets areas, post metas and so on. 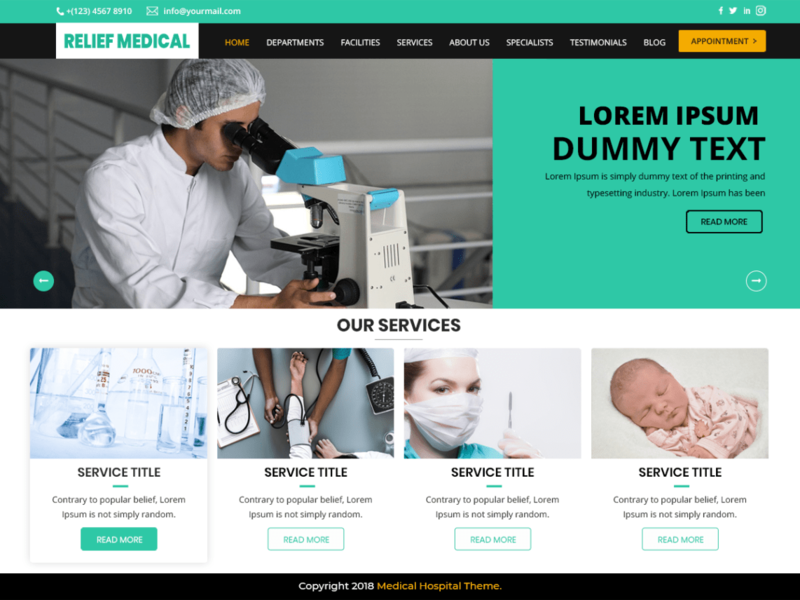 Last but not least, you can use this free WordPress theme has multipurpose functionality that means, it is also suitable for online business, digital market, digital agency, affiliate market, software Landing Page, app landing page and many more. 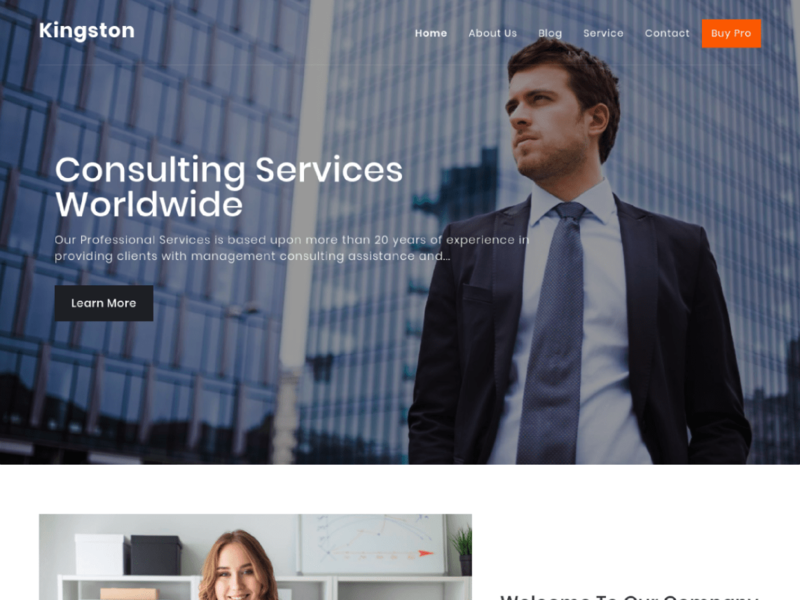 Kingston is one of the best free responsive multipurpose business WordPress theme suitable for creating all kinds of business and consulting websites. The theme has a faster loading capacity and practiced all sorts of on-site SEO. It comes with all the necessary features including front page customizable sections with customizer API, you can select the wide and boxed layout, set testimonial section, blog section, portfolio section as per your wish. Besides, This free WordPress theme is cross browsers compatible which mean your business websites perfectly works on any leading browsers. 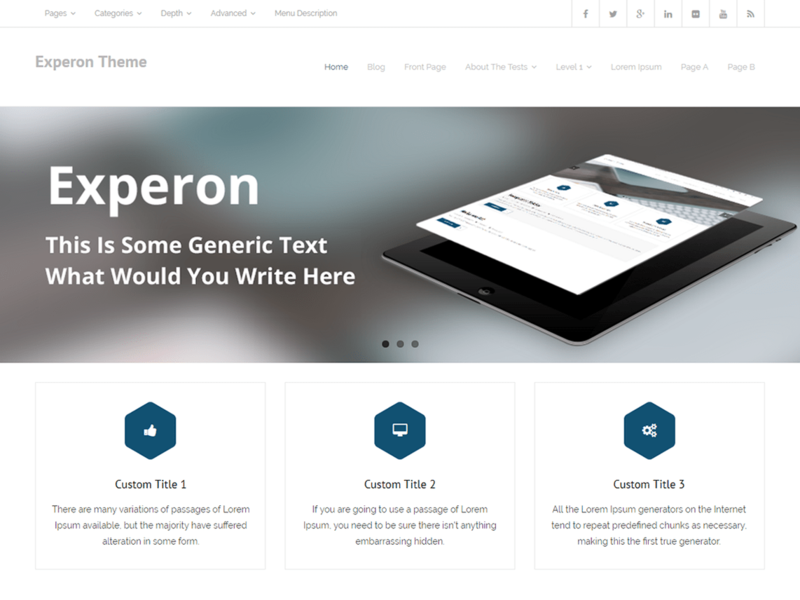 Experon is a free responsive multipurpose WordPress theme with a minimal and clean design. With the powerful theme options, you can easily create the business website without touching a single line of codes. Also, it has carefully built-in homepage, enabling you to build an elegant and stylish homepage that perfectly fits on all hand-held devices. Similarly, Experon provides full-width Slider, which means you can put graphical contents on the slider to voice out the services your company provides. Last but not least, it is very SEO friendly. 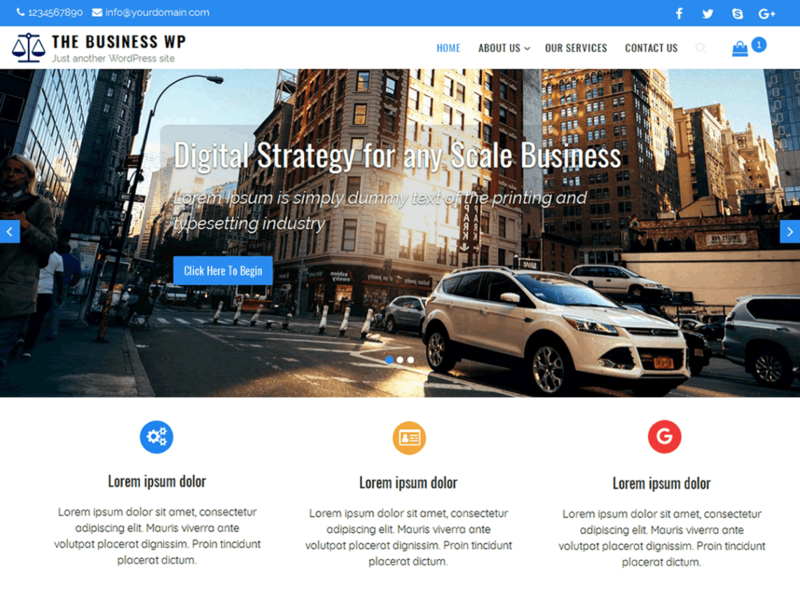 The Business WP is a feature rich and free WordPress theme for business, consultant, and corporation. It is also a multipurpose theme which can be used by any type of business line eCommerce, travel, creative agencies and so on. The theme seamlessly incorporates with WooCommerce plugin, which gives you the flexibility to sell merchandise or services to consumers. Apart from that, it has awesome services, contact, callout, typography, slider, header, and footer options. 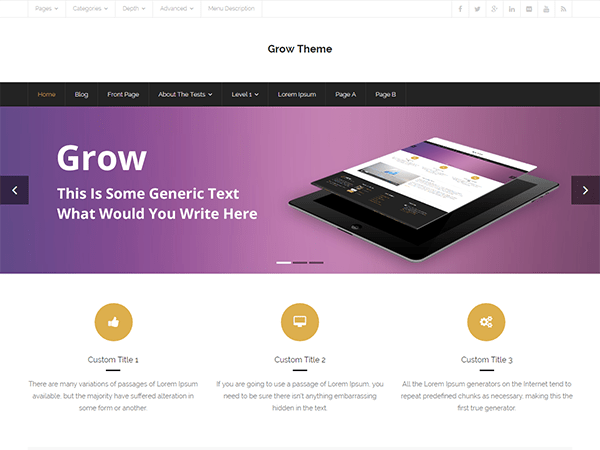 Grow is one of the most popular free multipurpose WordPress themes for business and a blog website. It is also perfect for web agency businesses, traditional blogs, portfolios and photography websites. The theme is rich on both feature and functional aspects. It is fully compatible with WooCommerce, WPML, and Polylang. On top of that, Grow is equally good in terms of design. Its design is responsive, modern, clean and minimal. 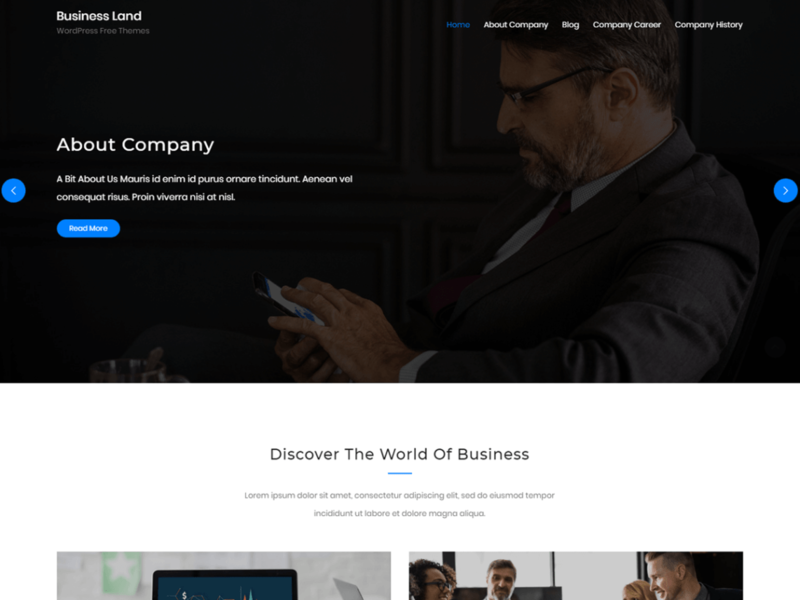 Business Land is another modern and fully responsive business WordPress theme based upon the Bootstrap 4 framework. The theme is perfect for launching private and commercial business websites. SEO optimized, with WPMl and RTL compatibility, you can readily use Business Land and craft full-fledged business website. Besides, this free WordPress theme is built on WordPress customizer that enables you to see the changes happening in real time. While wrapping up, these are the list of best free WordPress themes for business, corporate agencies, consultants, creative agency and so on. 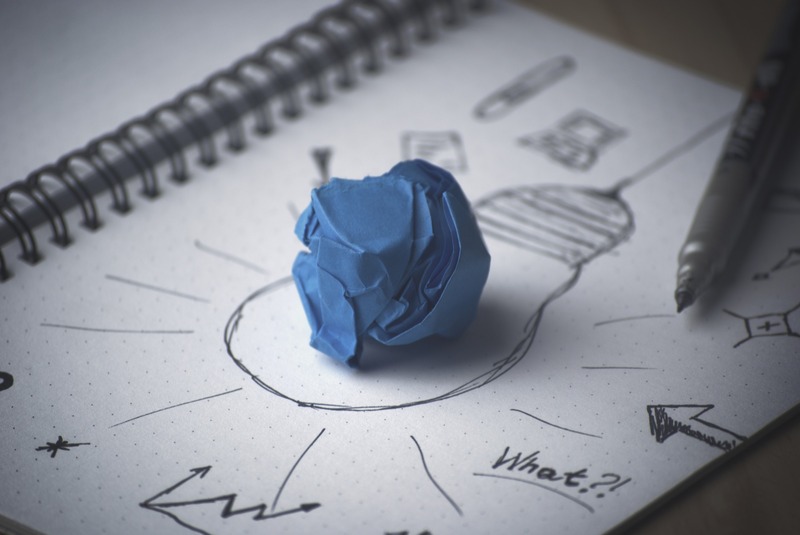 Being based on any of these themes, you can start your business website right away. If you come across any of the relevant themes or want to share your experience with other users, feel free to mention it in the comment section.